We study further the properties of Hilbert–Kunz multiplicity as a measure of singularity. 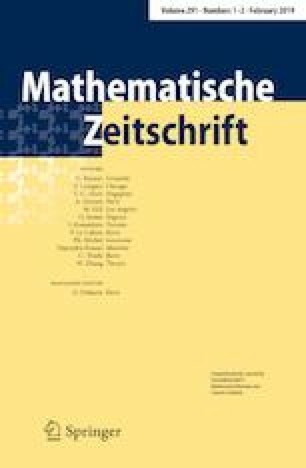 This paper develops a theory of equimultiplicity for Hilbert–Kunz multiplicity and applies it to study the behavior of Hilbert–Kunz multiplicity on the Brenner–Monsky hypersurface. A number of applications follows, in particular we show that Hilbert–Kunz multiplicity attains infinitely many values and that equimultiple strata may not be locally closed. Dedicated to Craig Huneke on the occasion of his 65th Birthday. The results of this paper are a part of the author’s thesis written under Craig Huneke in the University of Virginia. I am indebted to Craig for his support and guidance. This project would not be possible without his constant encouragement. I also want to thank Mel Hochster and the anonymous referee who carefully read and helped to improve this manuscript.